During the OSD class last week I did get some questions regarding the use of IP Helpers in the routers or using Option 66 and 67 in the DHCP server, since booth methods seems to be working. Now, if the router is configured for IP helpers (it already have one that points to the DHCP server, so the only configuration you need to do is “add one more”) the broadcast will be picked up by the router, encapsulated and sent to both the DHCP server as well as the PXE (Windows Deployment Server). The DHCP server will grab a free IP and subnet, gateway addresses that fits the network the client is located on, send it to the router and tell the router to send the packet to the client. The PXE server will “after knowing what kind of computer it is (BIOS / UEFI / x86 / x64) pick the correct boot file and send that information to the router and tell it to send the packet to the client. This means that the client will receive two different packages and the client will merge them into one, consume the packet and we are done. What happens when Option 66 & 67 is involved? Now, let us assume that we don’t have the IP address to the PXE server configured in the IP Helper but instead we have option 66 & 67 configured, well the first part is the same, but the DHCP server will also forward the option 66 & 67 to client, it should work, right? The number ONE issue we work with at customer sites when it comes to PXE boot is the bloody Option 66 & 67. So, the short story is very, very simple, just configure the darn routers correctly and have a happy life. Pingback: Building new DHCP server, but how will this effect WDS/MDT?? 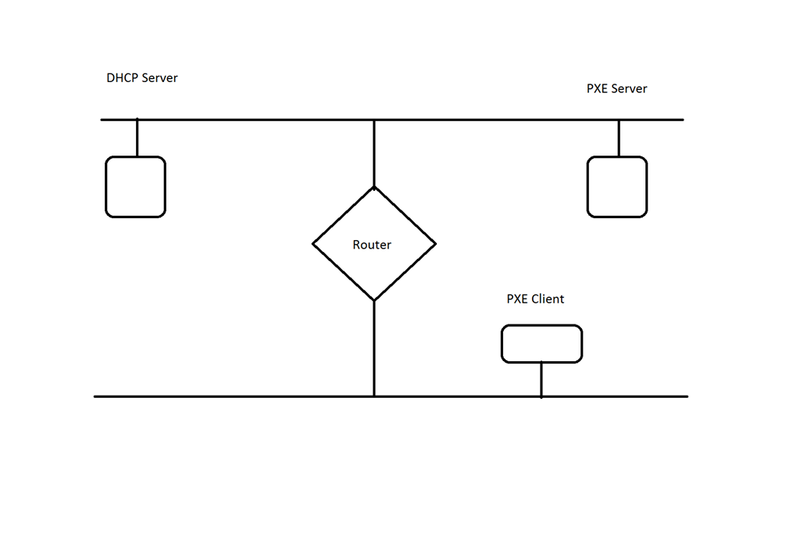 Here we have approximatly the same setup as you explain in your diagram exept that our WDS server is in the same segment as the client (same side of the router). So there is an IP-helper to get to DHCP server. As I understand, if WDS server is on the same segment, we should not add IP-helper to reach WDS server. The broadcast should be taken by the wds server and download the right boot image to the client after receiving an IP address from DHCP. I have remove all options related to PXE from the DHCP and try to PXEBoot from a client. The WDS server never answer and no boot image is downloaded to the client. Is my setup OK ? And how the WDS server should be configured. This is exactly what I was thinking. Thanks for confirmation. So I’m not using SCCM, pure MDT, could you provide me with web site where I can see how to configure WDS server to answer PXE boot request ? Are there any tips/tricks to speed up PXE boot, specifically with SecureBoot/UEFI enabled? I am seeing PXE boot times of about 1m45s when Legacy boot is enabled, and 6m35s when SecureBoot/UEFI is enabled. It may be good to know, I am on SCCM 2012 R2 5.0.7958.1000. I will be testing current branch in a couple weeks with production deployment scheduled for end of May.